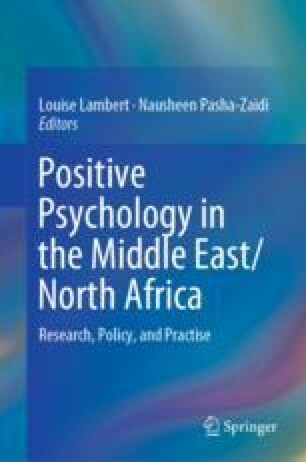 The sum of skills that lead to national prosperity has formed the bulk of a new system of inquiry called positive education, the best practises found in teaching along with the principles of positive psychology that focus on the development of student wellbeing versus the remediation of their problems. The positive philosophy differs from mainstream orientations to education by recognizing that even in the absence of problems, attending to student wellbeing and character are essential for good functioning and excellence. Accordingly, in this chapter, we challenge educational institutions to reimagine, redesign and reorganize themselves into “Positive Universities” by harnessing important organizational cultural changes not only for the benefit of students, but for faculty, management, staff, as well as parents and the greater community. We propose to implement character strengths programming to do so. We offer a view of the GCC university landscape and discuss the challenges and opportunities in transforming such learning environments to more positive ones, all the while offering programming ideas and guidance in restructuring these environments accordingly. Ernst & Young. (2015, May 18). How will the GCC close the skills gap? Retrieved from http://www.ey.com/em/en/industries/government—public-sector/ey-how-will-the-gcc-close-the-skills-gap. Francis, J., & Auter, Z. (2017, June 20). Gallup Blog: 3 ways to realign higher education with todays’ workforce. Retrieved from http://news.gallup.com/opinion/gallup/212522/ways-realign-higher-education-today-workforce.aspx. Green, S., Oades, L., & Robinson, P. (2011, April). Positive education: Creating flourishing students, staff and schools. InPsych, Australian Psychological Society. Retrieved from https://www.psychology.org.au/publications/inpsych/2011/april/green/. ICEF Monitor. (2017, October 11). Dubai strengthens its position as a regional education hub. Retrieved from http://monitor.icef.com/2017/10/dubai-strengthens-position-regional-education-hub/. James H. S. Jr., & Chymis A. G. (2004). Are happy people ethical people? Evidence from North America and Europe (Working Paper No. AEWP 2004–08). Department of Agricultural Economics. Retrieved from http://ageconsearch.umn.edu/bitstream/26034/1/wp040008.pdf. Kautz, T. D., Heckman, J., Diris, R., ter Weel, B., & Borghans, L. (2014). Fostering and measuring skills: Improving cognitive and non-cognitive skills to promote lifetime success. Organisation for Economic Cooperation and Development. Retrieved from http://www.oecd.org/edu/ceri/Fostering-and-Measuring-Skills-Improving-Cognitive-and-Non-Cognitive-Skills-to-Promote-Lifetime-Success.pdf. Lambert, L. (2017). Character strengths at university (for a GCC audience): The facilitator’s manual. Retrieved from http://a.co/56f8EWl. ISBN-13: 978-1548597931. Nesfield, V. (2016). Character education in a pluralistic context: Can and should we teach values? Hillary Place Papers (3rd ed. ), University of Leeds. Retrieved from http://hpp.education.leeds.ac.uk/wp-content/uploads/sites/131/2016/02/HPP2016-3-Nesfield.pdf. Ridge, N., Shami, S., Kippels, S., & Farah, S. (2014). Expatriate teachers and education quality in the Gulf Cooperation Council (Policy Paper No. 11). The Sheikh Saud bin Saqr Al Qasimi Foundation for Policy Research. Retrieved from http://www.alqasimifoundation.com/en/publication/21/expatriate-teachers-and-education-quality-in-the-gulf-cooperation-council. Sander, L. (2017, February 28). Lack of workers with ‘soft skills’ demands a shift in teaching. The Conversation. Retrieved from http://theconversation.com/lack-of-workers-with-soft-skills-demands-a-shift-in-teaching-73433. Schwalje, W. (2013). A conceptual model of national skills formation for knowledge-based economic development in the Arab world. Al Qasimi Foundation. Retrieved from http://www.alqasimifoundation.com. United Nations Development Programme (UNDP). (2016). Arab human development report: Youth and the prospects for human development in a changing reality. New York, NY: UNDP. Retrieved from http://hdr.undp.org/sites/default/files/reports/2699/ahdr2016en.pdf.